Pumpkins are so much more than just a fun holiday decoration. Not only are they one of the best-known sources of beta-carotene (an antioxidant that is converted to vitamin A in the body), but pumpkins are loaded with fiber, potassium, and vitamin C. On October 26 do yourself a favor and eat a hearty helping of pumpkin to celebrate National Pumpkin Day (and of course have a little fun carving them). Try a new way of preparing pumpkin today! Never had a roasted spicy pumpkin soup? What about a pumpkin smoothie? How about pickled pumpkin with cinnamon. Try making your own! Ok, so most of the time pumpkin pies are baked around the holidays, but don't let that limit you: there are no rules as to when you can enjoy a delicious slice of pumpkin pie. But if you do think that pie belongs to Thanksgiving or Christmas only try another pumpkin-y baked treat! Pumpkin bread, pumpkin muffins, pumpkin scones: the sky's the limit! Enjoy some traditional October pumpkin fun. Search the internet for your favorite cartoon character, slogan or image and have fun carving it into a pumpkin. Print out your design and use a toothpick to poke small dots into your pumpkin to transfer the design and get carving! Did you know that the potassium in pumpkins can have a positive effect on blood pressure? Eating a diet high in fiber, potassium, and vitamin C (all of which pumpkins have), is also associated with a reduced risk of stroke, protection against loss of muscle mass, preservation of bone mineral density, and reduction in the formation of kidney stones. 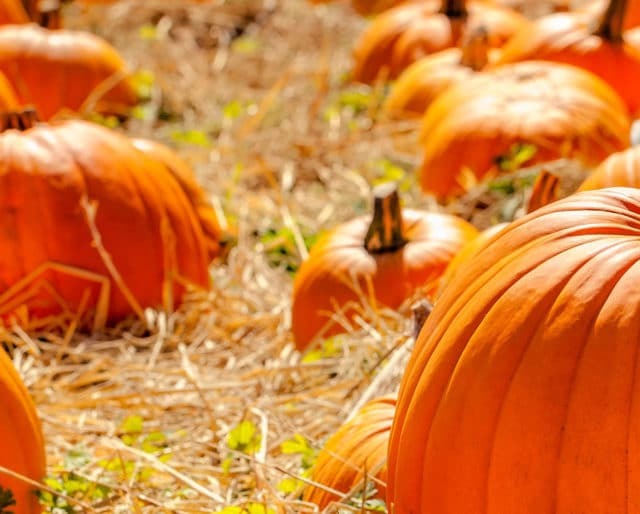 In addition, the antioxidants and vitamins in pumpkins could prevent degenerative damage to the eyes! So do your body a favor and eat some pumpkin today. Pumpkins are an amazingly versatile vegetable, they can be used in sweet, savory, spicy, or salty dishes! You can bake them, boil them, steam them, puree them, even fry them. With so many ways to prepare pumpkins, and so many flavors you can add to them, there is guaranteed to be a way that appeals to everyone. Everyone loves carving pumpkins and to top it off it is a fantastic way to have fun with the kids. Invite your neighbors over, invite your friends over and have a pumpkin carving party, or even get out your power tools and and get really creative!